The Amsterdam Metro is a mixed rapid transit and light rail system in Amsterdam and its surrounding municipalities Amstelveen, Diemen, and Ouder-Amstel in the Netherlands. The network is owned by the city of Amsterdam and operated by the Gemeentelijk Vervoerbedrijf (GVB), the company that also operates trams, ferries, and local buses. The lock system of the Amsterdam underground is quite extensive and includes 2,574 cylinders. 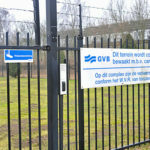 The GVB decided to look for another way to protect its station entrances and restrict access to equipment rooms. They considered various alternatives, including electronic access systems and remote card readers; however, these solutions were not resistant to water, frost, or vandalism. The GVB discovered the CyberLock system, and were pleased with the unique features the system had to offer. Initially, CyberLock was received with skepticism; there were a few complaints from managers who were no longer able to open certain doors—doors they should not have been able to open to begin with. “Within a month, all cylinders had been replaced, including those in doors with very uncommon profiles. We have not had to adjust a single lock, and the installation of the cylinders was easily done by our own locksmith,” stated De Vries. Because the locks are installed without wiring, it has been possible to replace all cylinders, including padlocks, while staying within budget; the price for a lock is one tenth the cost for a hardwired system. The CyberLock system is expected to be implemented in other organizations, too. Since the installation of CyberLock at the GVB, De Vries has received visits from colleagues of nearly all Dutch public transport companies wanting to learn more about the system. Click here to learn more about CyberLock applications for the Transportation industry. "Some of our employees have literally tried to open all doors with their keys. We can see that in our log files."